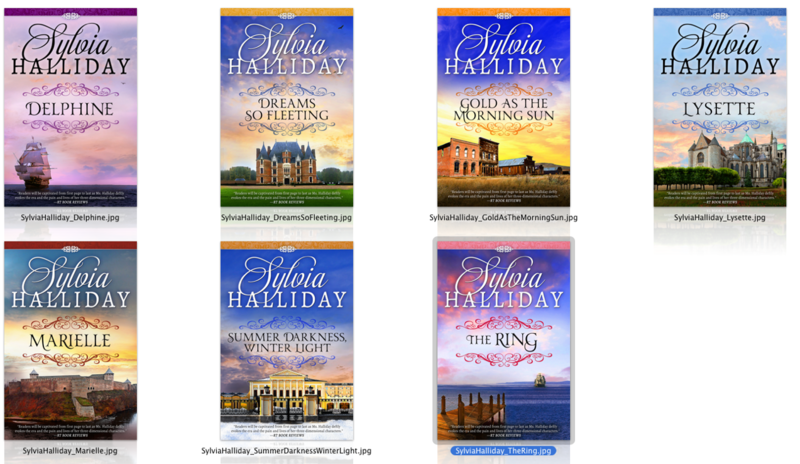 Award-winning author Sylvia Halliday was born in Toronto, and raised in Massachusetts. She studied Art History and French Literature at Brown University. She raised four children in New York City, while working as an interior designer and indulging her passion for trivia by appearing on quiz shows (including the original Jeopardy!) and constructing crossword puzzles for the The New York Times. She is now a grandmother of nine. Her first historical novel, written as Ena Halliday, was chosen by Pocket Books to launch their Tapestry line. She subsequently wrote for Popular Library/Warner and Harlequin Historicals under the pen name of Louisa Rawlings, the name of her maternal great-grandmother. She has written for Kensington/Zebra under the pseudonym of Sylvia Halliday. She has published 14 historical romances. FOREVER WILD earned 5 stars from Romantic Times and Affaire de Coeur, and was a RITA finalist for the Romance Writers of America. Her latest offerings, published by Diversion Books, are Marielle (The French Maiden Series, #1), Lysette (The French Maiden Series, #2), Delphine (The French Maiden Series, #3), Dreams So Fleeting, Gold as the Morning Sun, The Ring, and Summer Darkness, Winter Light. Forever Wild, Stolen Spring, and Promise of Summer, written by her as Louisa Rawlings, are available from Samhain Publishing.